From what I remember of the Walt Disney animated film Pinocchio, this original version is comparable to how the Brothers Grimm might treat the material. It's a dark fable, a fable because of its cautionary lessons and its supernatural elements, including talking animals. 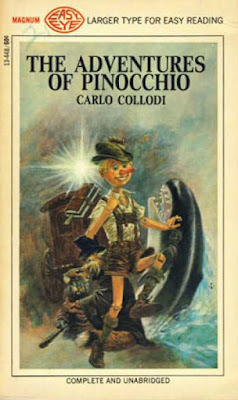 Pinocchio is a mischievous urchin fast approaching that of a reprobate. Not until he faces potential death (which he does in nearly every chapter) does he appear mildly remorseful, and that remorse is short lived as yet another temptation appears which, again, distracts him from the sagacity of his elders. Despite the darker tone, this story is still amusing and fun. I caught myself smiling throughout and even chuckling quite a few times. An intermittent, interactive quality abounds. 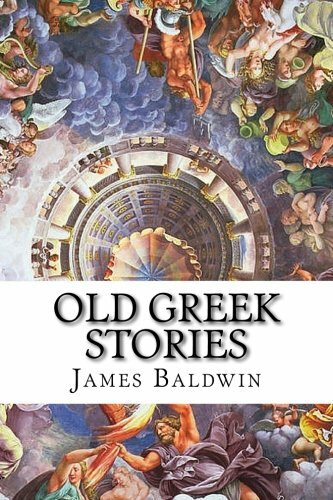 We've all probably experienced those stories in which the author stops his narrative to flatter us, calling us his “gentle reader” or his “dear reader.” Something along the lines of “As it happened, dear reader, Sally sold those sea shells to the stentorian steer for seven silver smackaroos” or some such. But I've never read anything quite like this. One can see the crowd of children gathered round the animated adult, their small hands clenched, eyes wide, mouths agape, as she reads aloud and gesticulates.